Home is Ready! 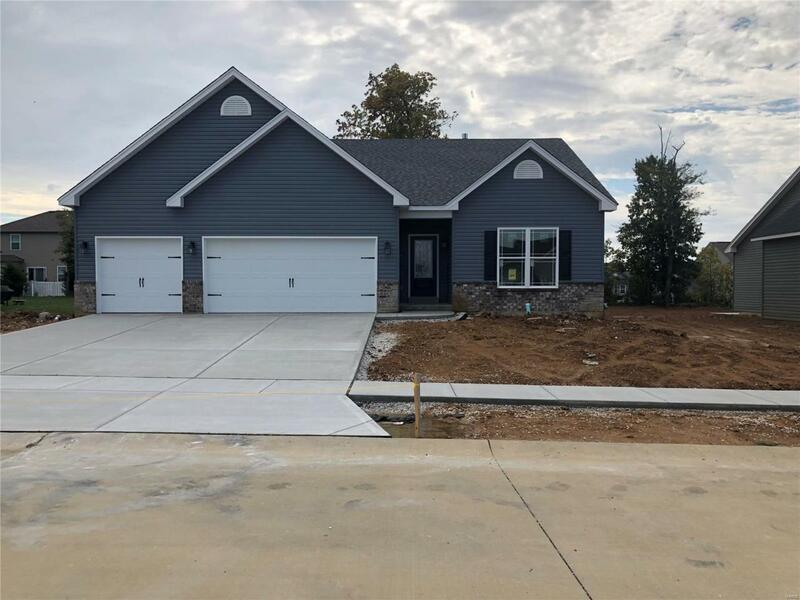 BEAUTIFUL NEW CONSTRUCTION HOME- 3BDR/2BTH - 1/2 BRICK WITH Stone Accents. 3- Car Garage -PERFECT FLOOR PLAN-SPLIT BEDROOM FOR ADDED PRIVACY, 9 FT CEILINGS - 3070 WINDOWS. KITCHEN,BRKFST, GR HAS FLOATING CROWN MOLDING WITH ACCENT LIGHTING. BARN DOORS IN KITCHEN LEADING TO LAUNDRY ROOM AND MASTERBEDROOM. 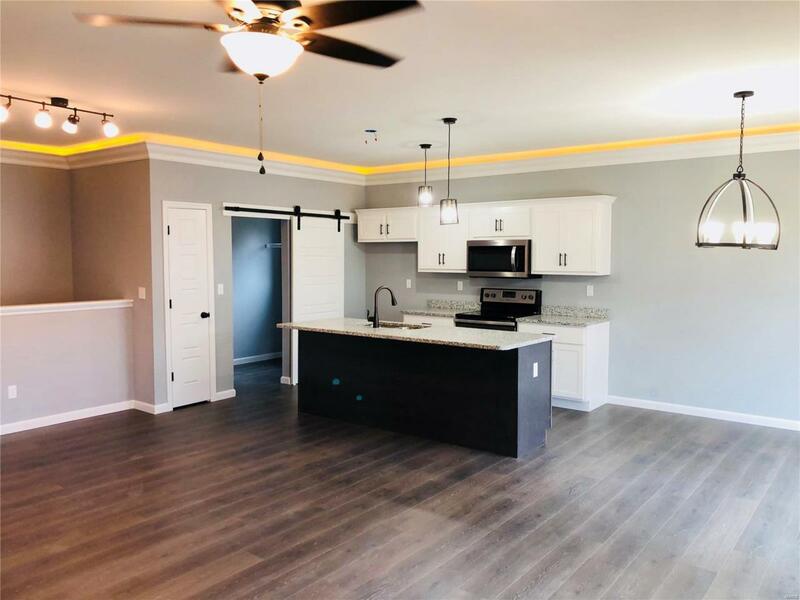 WALK IN SHOWER WITH RAIN HEAD AND ADDTL SHOWER HEAD WITH CUSTOM CERAMIC TILE SURROUND.TILE FLOORS IN BATHROOMS, LAUNDRY,KITCHEN AND BREAKFAST ROOM, VEENER WOOD FLOORS IN ENTRY FOYER, GR. ALL UPGRADED PLUMBING,LIGHTING,HARDWARE - FULL BASEMENT READY TO FINISH. 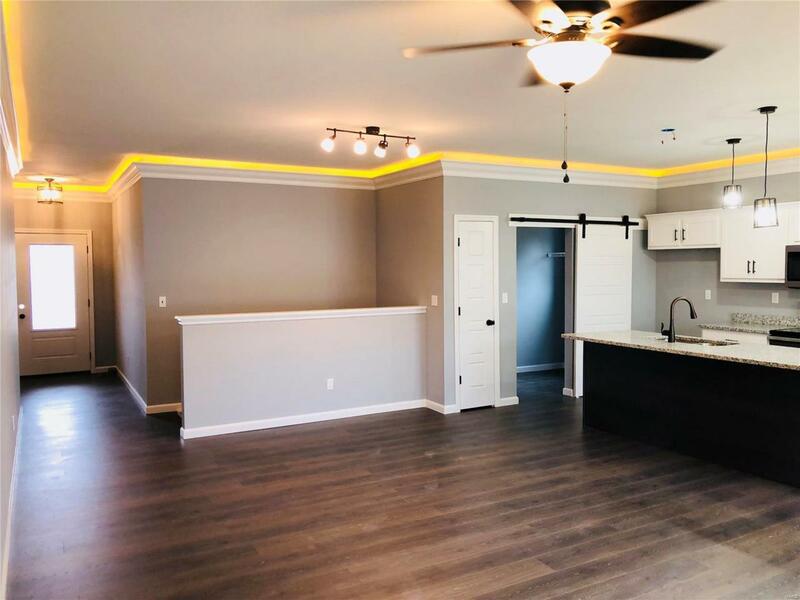 WHITE RIVERSIDE UPGRADED INTERIOR DOORS, WAVE STYLE VANITY TOPS, DOUBLE BOWL VANITY IN MSTERBTH,ADULT HEIGHT VANITIES, MAIN FLOOR LAUNDRY, STAINLESS STEAL ELECTRIC RANGE,BUILT IN MICROWAVE, DISHWASHER,WALK IN CLOSET IN MASTER. 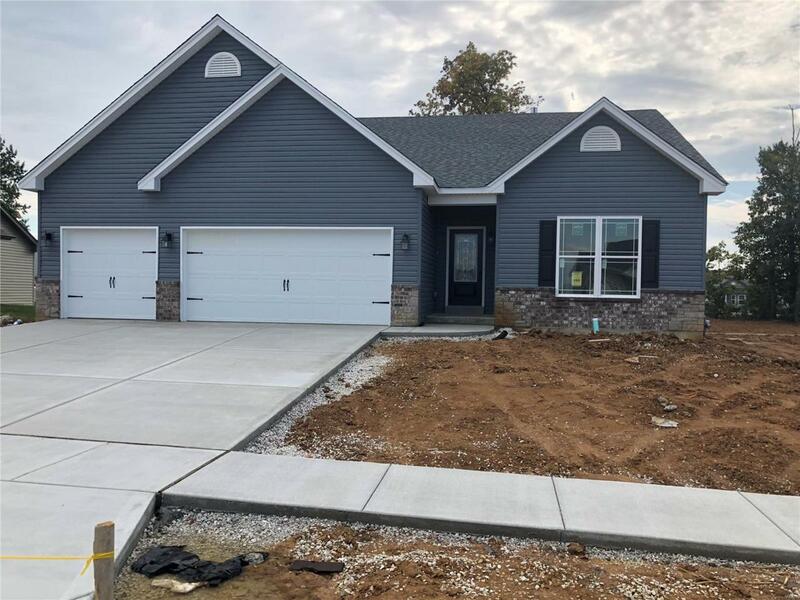 PANTRY, TWO FROST-FREE FAUCETS, CUSTOM CABINETS W/ -"Granite Counterops", VINYL INSULATED TILT-IN WINDOWS, TYVEK HOUSE WRAP, UPGRADED SIDING COLOR. SOD WILL BE INSTALLED WEATHER PERMITTING. Listing provided courtesy of M. J. Realty Company, Llc. Listing information © 2019 Mid America Regional Information Systems, Inc.